Popularly known as Iron Lady of India, Indira Gandhi was the 3rd Prime Minister of India. She was born on November 19, 1917, in Allahabad, India. She was the famous personality of India as well as the Globe. Due to the sheer understanding of politics, she was the 1st woman to be elected as the head of the largest democratic country. Till date, she is the only woman Prime Minister of India. 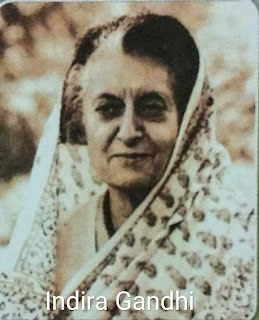 Mrs. Gandhi holds the position of Prime Minister after about two years from the death of her father in 1964 when she was elected as the member of the Congress Working Committee in the year 1959. She became the Rajya Sabha Member for the first time in the year 1966. She was known for its dare decisions and during her tenure, India became the regional power in South Asia with having great political, economic, and military power. State emergency was one of the biggest decision during her tenure till date that made some significant changes to the Indian Constitution. Before becoming the Prime Minister, she became one of the members in the Lal Bahadur Shastri's cabinet. As a second longest serving Prime Minister of India after Jawahar Lal Nehru, she also took charge of many ministries like Defence, Home, External Affairs, and Space during her tenure. She established herself as a prominent personality of Indian Politics before assassinated in the year 1984 due to the operation Blue Star.